Brief Synopsis – A reporter about to quit and get married lands the story of a lifetime and has to figure out whats important in life. 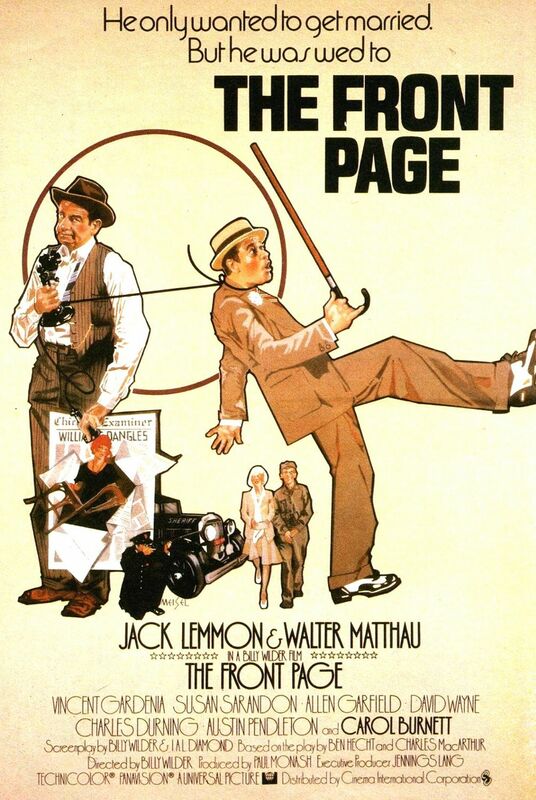 My Take on it – Jack Lemmon and Walter Matthau were always a great comedic team. This movie once again proves that this is a winning combination. This movie is based on a farcical play from the late 1920’s and some of the dialogue is purely genius. My favorite scenes were the ones when they had a group of reporters each reporting a similar event in different ways. The plot here isn’t so important since it’s the dialogue that shines here, but the story was created in such a way that a few of the early scenes really pay off towards the end in ways that you wouldn’t expect. Bottom Line – Another great comedic pairing of Lemmon and Matthau. Has some great lines and situations. Recommended!